Have you ever been wondering of your biggest dreams? What are they looking like? Are they all magical or realistic? Or a mixture of both? if I want to talk about my own dreams I would say I have never stopped dreaming even now that I am no more a kid, I am actually an elderly who is working, getting tired, coming back home and thinks how fast mornings become nights. But all of a sudden I put a stop to that thinking and decided to spend a little of those monies that I’ve been saving by making a decision which will make some of my life days a little unexpected, surprising and amazing and that was surfing the net for a travel or tour to someplace nice. What were my priorities if you ask? I’d say I wanted to go to a place to calm down and yet to have a rise for continuing the life after I came back. I Read all the suggestions on traveling websites and didn’t want to go to a common place like a place that everyone goes at least once like Italy or Paris or Mexico. I needed someplace different. 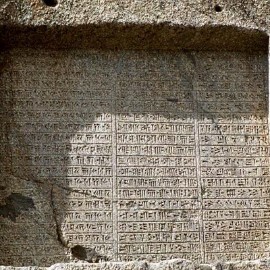 And accidentally I found a recommendation to have this travel to Iran. To be honest at first I really had a little doubt about having travel to Iran. 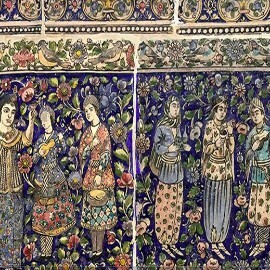 I had heard about its some famous souvenirs like nuts and beautiful carpet’s and other handmade beautiful things but I didn’t have any idea because I barely heard any experience of others having travel to Iran. As I said it was not something common like going to Paris and seeing the Eiffel tower it was something new something mysterious and amazing at the same time. I surfed a little bit more on the net to see its monuments, its sightseeing, its foods, its famous cities, population and culture. Everything seemed very cool. After that I started to search for photos in different Medias, and when I clicked on the tap “images” on Google, photos explaining it were all about danger, terrorism and they were not really looking so much fun. I panic and doubt either it is right or not to pay even one penny to this travel to Iran. I started googling “does it have any danger to travel to your Iran?” The answer on all websites and comments was “no” they were saying that actually against all pictures that Google shows Iran really is safe and almost no violence were reported against tourists. 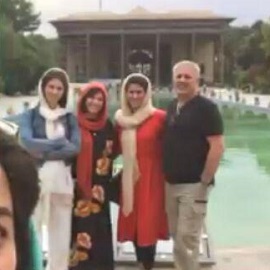 They were all thanking for Iranian people warm hospitality so I checked Instagram and Pinterest and after a while I was mesmerized and enchanted by those photos of the most beautiful places on earth and I didn’t even hesitate one more second to buy those tickets and start my travel to Iran. Now that I am writing this experience to share with you, my blood pressure is getting high and my heart beats a little faster when I remember those beautiful blinking stars and that mini our to Kavir and the temperature of warm see when I was swimming on Hormoz Island Seaside. My tour to Iran Was a little bit after Christmas which means close to Norouz, the Iranian new year holidays and when I went to Shiraz which was recommended by the travel agency in Tehran I got the chance to pick up so many Narcisses buy my own hands. They were having this festival every year to cut those beautiful heavenly flowers. I actually don’t want to share more the joy of my travel to Iran with you guys because you know I paid some money to earn that joy. So if you want to get your own joy you should do the same and do not hesitate to even read more word I have on this memory. There might be lots of ways and lots of destinations to aim for having a lot of adrenaline. With your tour to Iran lots of packages like choosing Tabriz And Tehran and Mashhad, Or visiting the south cities and islands or any other mixture that you wish are prepared but I recommend you not to lose this chance of visiting Shiraz. Because this is really going to be the city that makes you be a poet. The weather, the way people are talking, their calmness and smooth reactions and the way they explain happiness, their beautiful vision for life makes your be a little jealous. Don’t forget to test their magical foods like Halim Badenjan and Ashe-Sabzi. 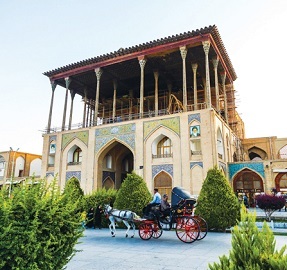 Shiraz is also close to the southern half of the country so you may be visiting the beautiful islands with paying less money and another good point for Shiraz is that it has an international airport and has daily flight to Tehran and United Arab Emirates. 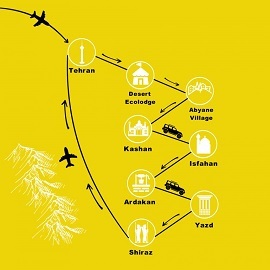 So you can have two different chances to continue your trip to Iran and visit other cities and keep this dream going on or you may see another common destination like UAE. So don’t miss this imaginary city that you would heard only in charismas books. And finally don’t forget to consider two things, number one, like they say that the advertising is not spending money but saving it, like financing, as much as you pay, I mean not in a luxury way but in a logical one, you’re going to save happiness for your coming days in your ordinary life which starts right after you fasten your seat belt on the plane and number two, you should respect people thoughts to expect them to do the same. There are some cultural rules that you should remember and you should pay attention to like wearing something absolutely proper like you are going to be in an official meeting. Of course in meetings you don’t go with shorts or tops and in addition if you are a woman you should put a scarf on your hair and also consider not to ask for wine so apparently. Ask them and they introduce you some places that are allowed to serve wine. To sum it up, having a travel to Iran as it is different Itself, is also needing you to see the world in a different way to be dressed up in a different way to eat in a different way, for example if you decide to eat Kebab with a spoon and fork so you’ll never feel the real excite of eating it with hot newly baked bread. I am so sure if you decide to have this trip you are going to want it to be repeated so soon. So don’t forget to send me postcards and I am going to finish this memory for now.